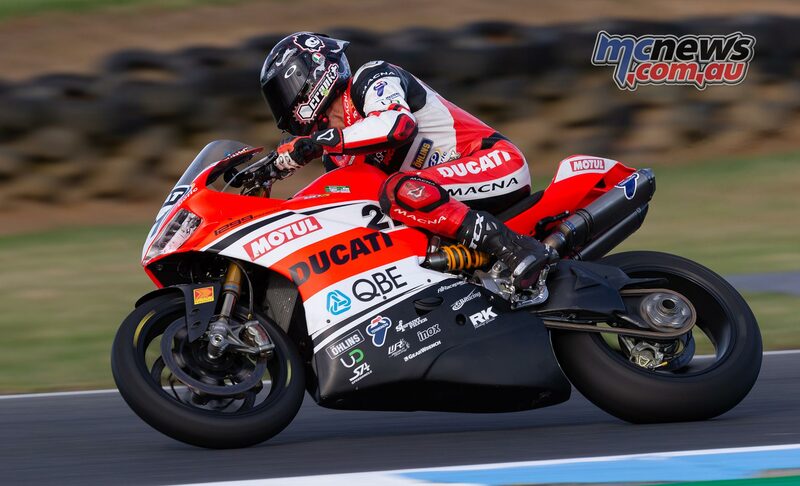 It was a fairly limited supports program at this year’s Australian Motorcycle Grand Prix with only two classes present, Superbike and 300 Supersport. 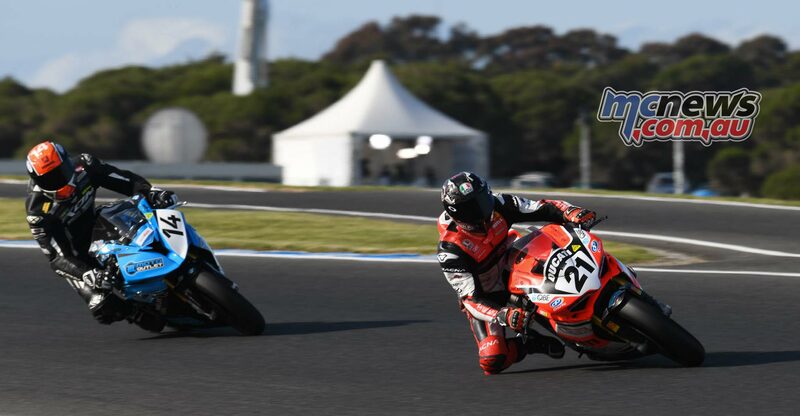 While there were 26 Superbike entrants, a lot of Australia’s fastest Superbike teams had decided to forego the non-championship event in the face of budget constraints. Thus Yamaha Racing Team’s Wayne Maxwell and Daniel Falzon were not in the field, nor was Team Suzuki’s Josh Waters. BCperformance Kawasaki were also not attending the event. 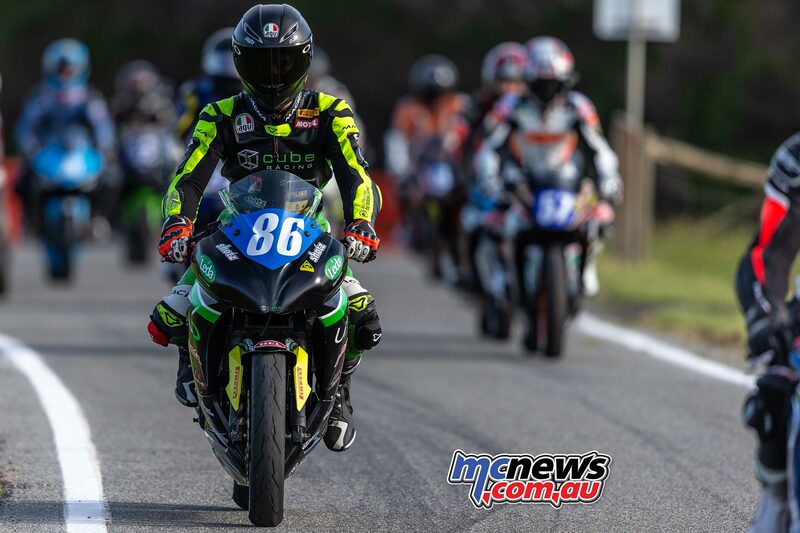 There were, however, a lot of riders in the field that do not regularly compete in ASBK Superbike events so some of the speed differences were very large indeed. A massive 14-seconds separated the fastest and slowest competitors. 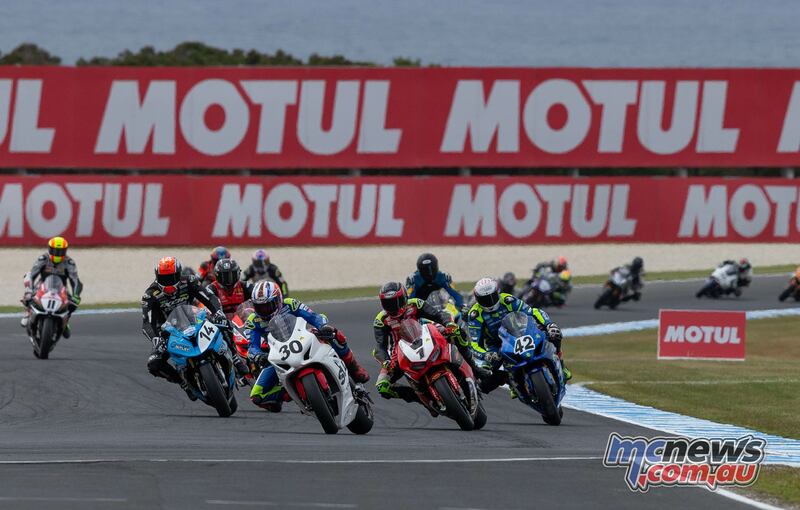 It is fair to say, that Australian Superbike did not have its best feet forward in front of the MotoGP circus and the strong crowds that were present across the Phillip Island Grand Prix weekend. Albeit that the support class action was largely held at times when most of the crowd were yet to arrive, or had already left. 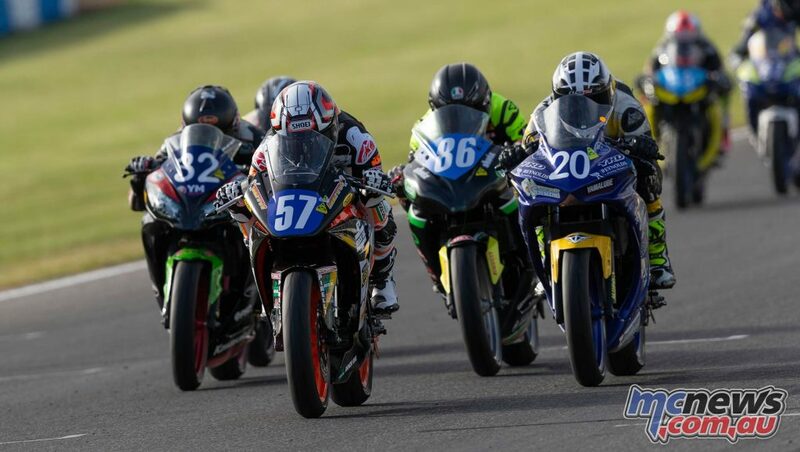 That notwithstanding, the racing was tight and action packed across both classes. 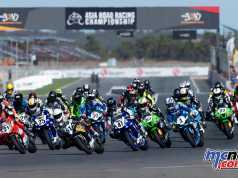 The weekend also clearly underlined yet again why ASBK should not, and do not, schedule championship races at the MotoGP event. We are nothing more than card fillers, and as such there are never any guarantees of our events going ahead. 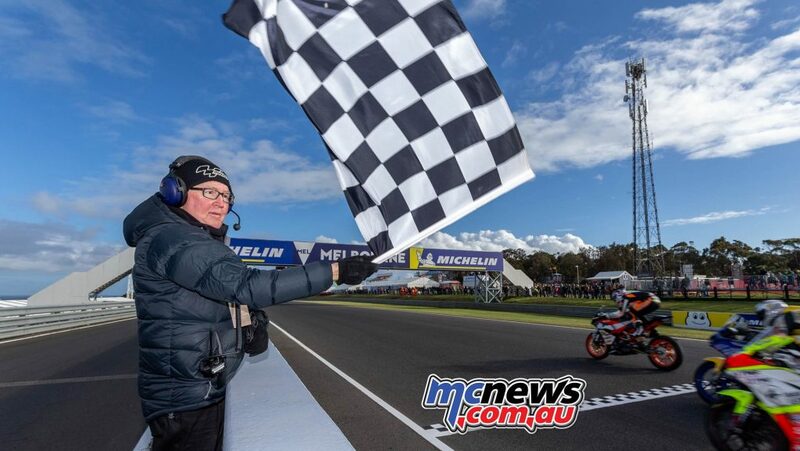 We can generally get away with it at WorldSBK events, as they are generally at the beginning of the season, thus the championship connotations are not quite so important, but at MotoGP it would be madness to have championship points on the line. 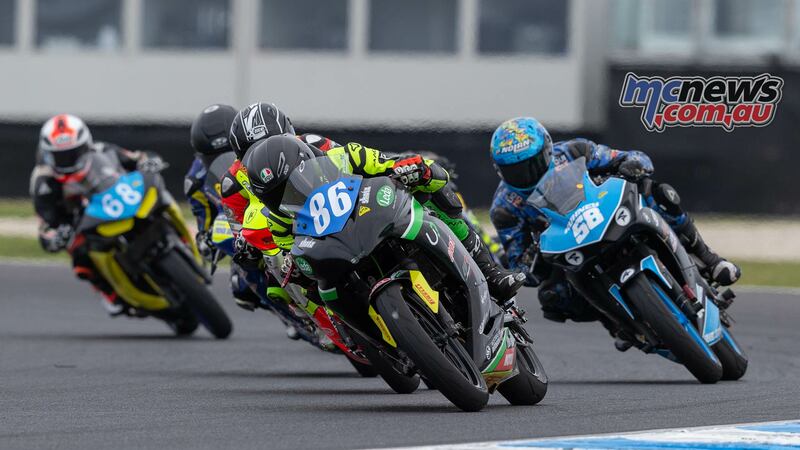 A three-hour delay after a hefty oil spill early on in Moto3 first practice saw most of the day’s domestic schedule postponed. 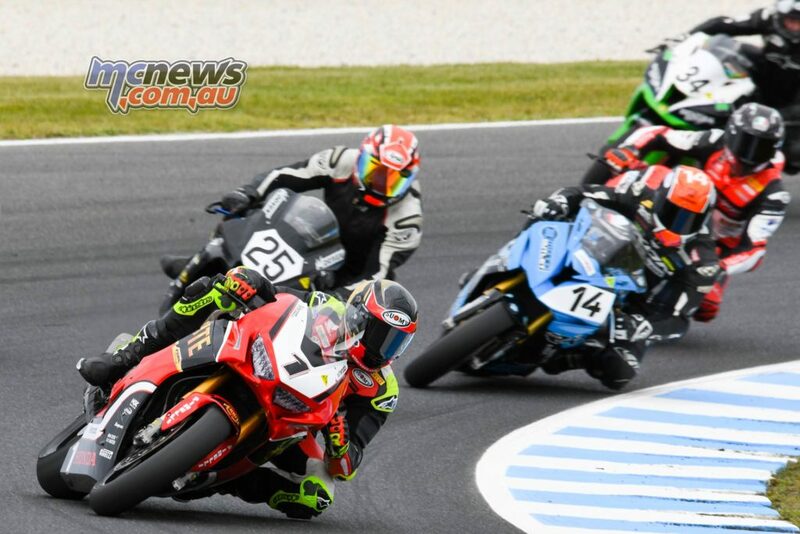 Luckily, ASBK Superbike competitors had got out on the circuit for FP1 at the ridiculously early time of 0755. An hour later they then got out for their single 20-minute qualifying session on a track registering a cool 16.7-degrees celsius, and an ambient of 13-degrees. 2018 Australian Superbike Champion Troy Herfoss was around half-a-second slower while young Mark Chiodo was the fastest Suzuki. Chiodo was riding his private machine due to the non-appearance of the Ecstar Suzuki squad. We were scheduled to have two Superbike races on Friday, a ten-lap race followed by another eight-lapper. 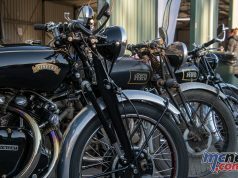 Instead competitors only got to race a single eight-lap bout on Friday which got underway at 1720. 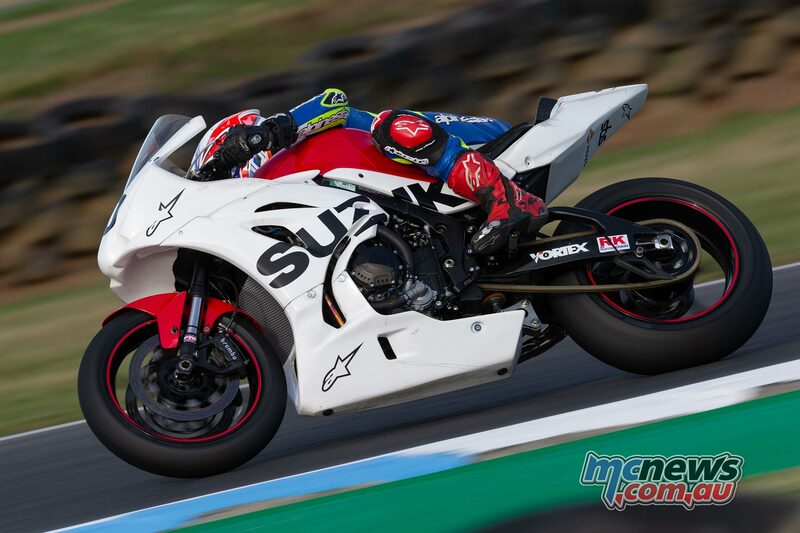 Superbike then got a second race at 0855 on Saturday morning and a third and final race from an originally scheduled four then took place at 0935 on Sunday morning. 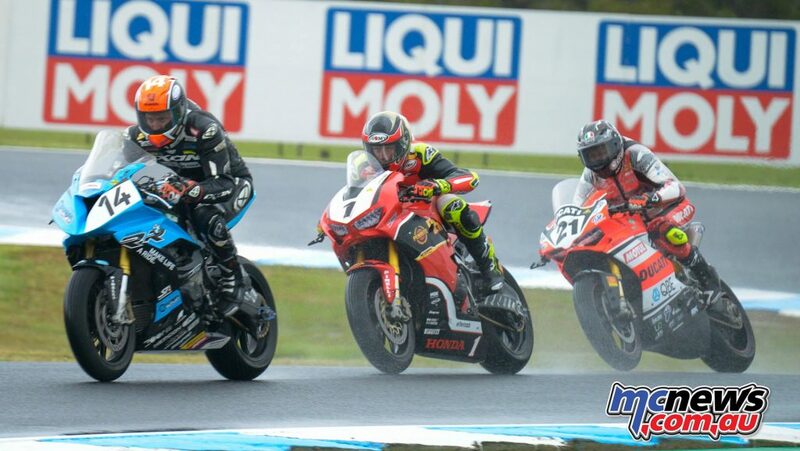 Predictably, it was the three men with multiple high-level road race championships under their belts that ran away with the show up front in Superbike. Troy Bayliss, Glenn Allerton and Troy Herfoss all shared a win apiece. It was however the elder statesman that won the meeting with Bayliss scoring two more points than Allerton, who in turn scored two more than Herfoss. Troy Bayliss won the first bout in what was a ripper duel between the Ducati legend and NextGen BMW’s Glenn Allerton, a quarter-of-a-second separating them at the line. 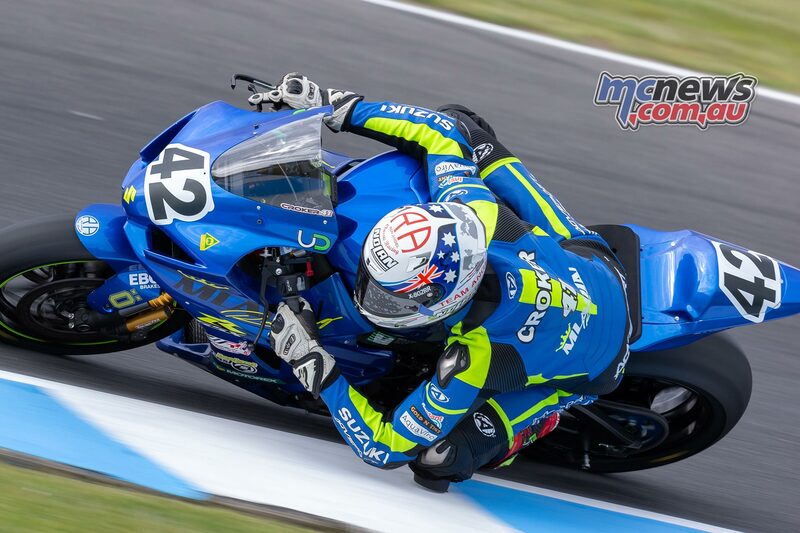 It was an important indication that Allerton is really back from injury, up for a fight, and keen to re-establish his place in the top echelons of Australian Superbike’s pecking order come season 2019. 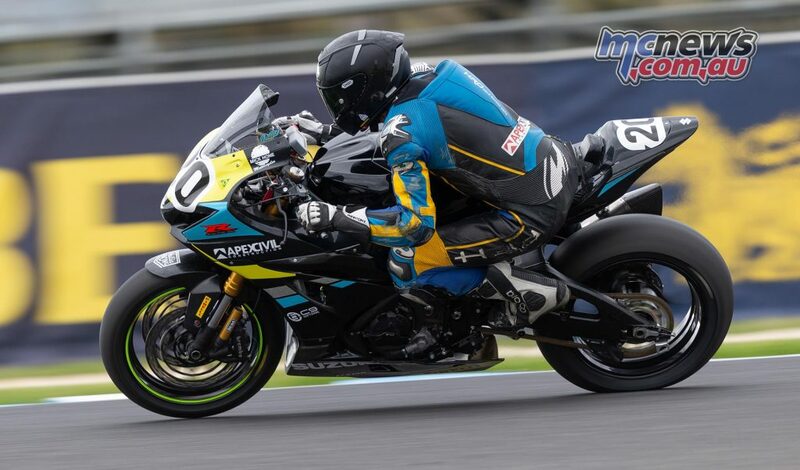 The BMW has quite often been found a little wanting at Phillip Island, but clearly the NextGen squad had the S 1000 RR working well last weekend. Troy Herfoss had an early off-track excursion that took him out of the battle but he still easily took third place, seven-seconds ahead of Mark Chiodo who just managed to hold off Alex Phillis to claim fourth. 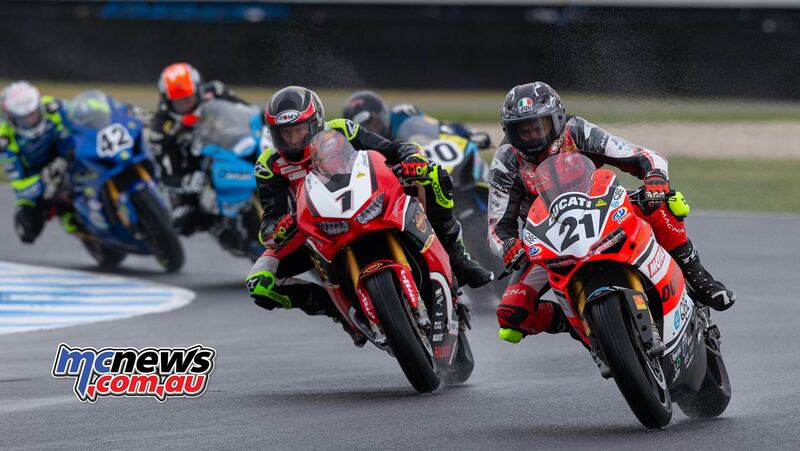 The second race was staged in drizzly conditions early on Saturday morning. This time around Herfoss was back in the hunt for the win and fighting up front with Bayliss and Allerton. 17-thousandths of a second separated Allerton and Bayliss at the flag but it was the nose of the BMW that was in front and Allerton was credited with the win. 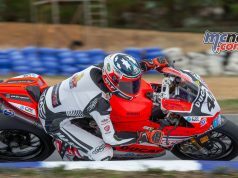 Herfoss was only a bike length or so further behind at the flag in third place, but a huge 25-seconds ahead of fourth-placed Yannis Shaw. 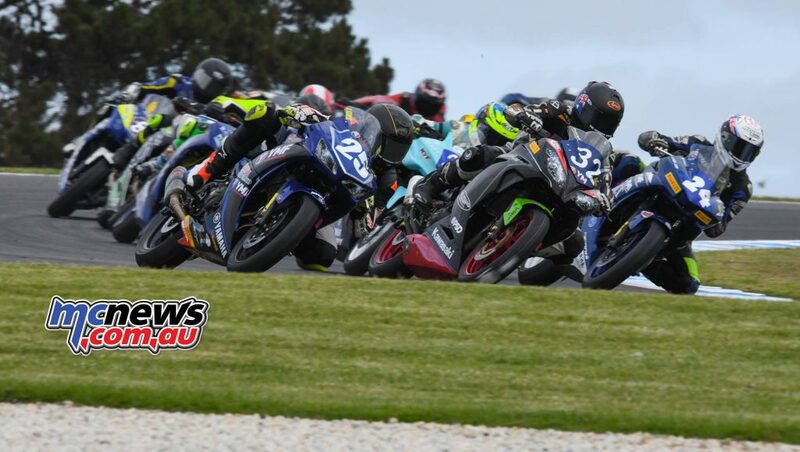 Shaw beat Superbike debutante Max Croker to the line by a single thousandth of a second to claim that fourth place in a photo finish. The third race was another cracker and staged in completely dry conditions at 0935 on Sunday morning in front of what was already quite an impressive crowd. Herfoss, Bayliss and Allerton were at it hammer and tong throughout the entire eight-laps, and looked set for a fierce final lap battle to the line. 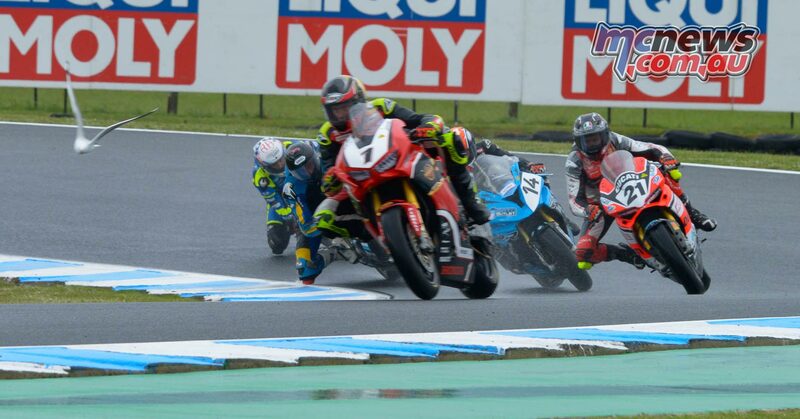 Alas, lapped riders pretty much decided the outcome as Herfoss threaded his Fireblade through the backmarkers at the most opportune parts of the circuit, while Bayliss and Allerton were baulked at Southern Loop, Honda and Siberia. That gave Herfoss the breathing space he needed to remain unchallenged through Hayshed, Lukey Heights, MG and the final high-speed turns to take the win by three-tenths. 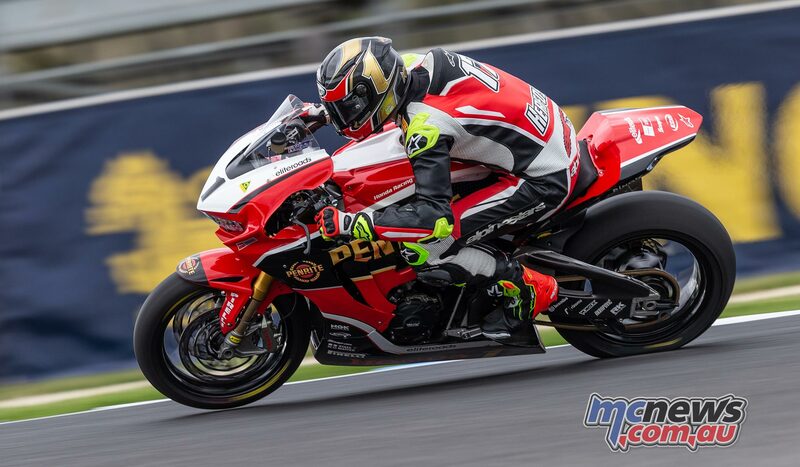 Luck played its part for sure, but Herfoss had made his own luck by being brave enough to lead at the start of that last lap and it paid dividends. 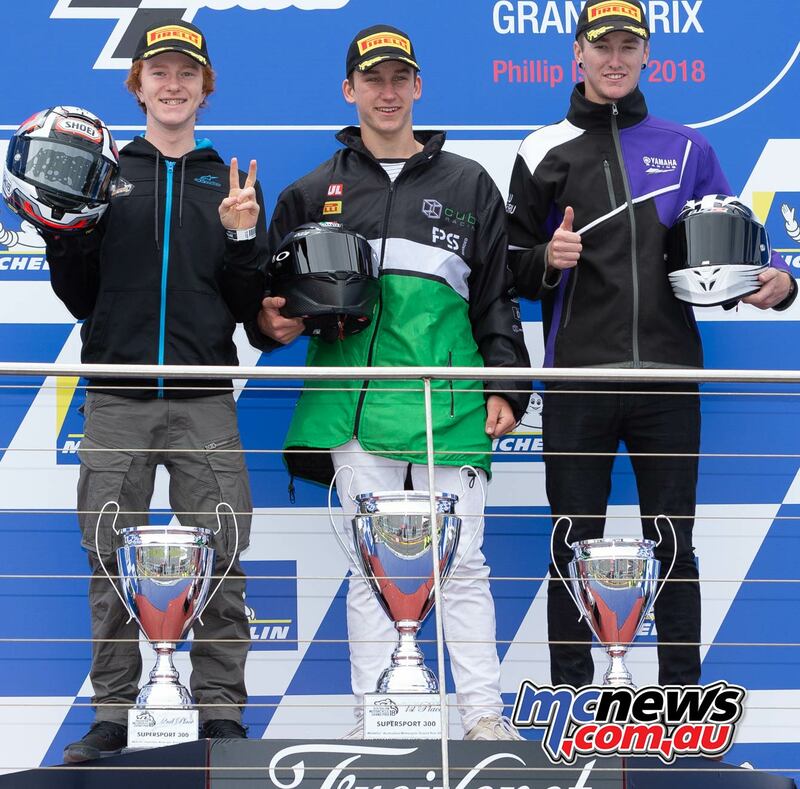 The battle for second was still on in earnest though with Bayliss pipping Allerton by a single thousandth of a second in a photo finish at the line to claim second place. That second place was enough for Bayliss to take the overall event victory from Allerton. All three champions recorded laps in the high 1m32s in that final race. The next quickest competitor was Mark Chiodo, with a fastest lap of 1m34.172 on his way to a lonely fourth place. 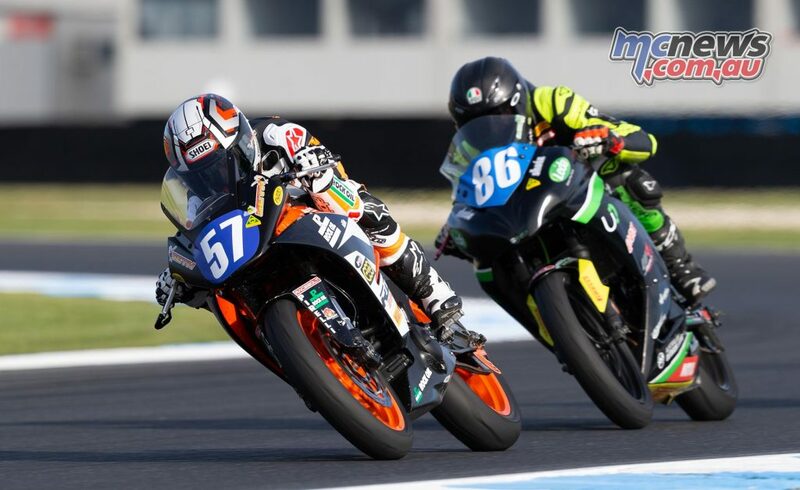 Alex Phillis also got into the 1m34s with a best of 1m34.969 on his way to fifth place in the final bout while Max Croker showed that he is adapting to the big-bore Superbikes with a best lap of 1m35.454 on his way to sixth. 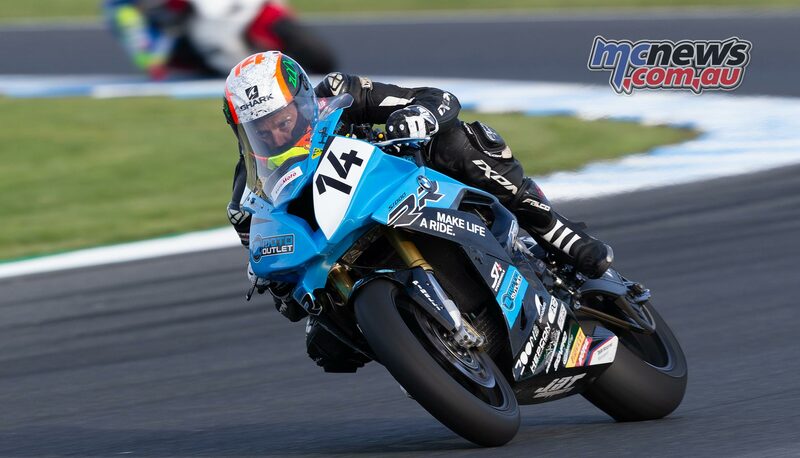 Croker will step up to the Superbike category full-time for season 2019 with the Mat Mladin Motorsports squad. Phil Cjaz got in the 36s, Shaw the 37s, while the rest of the field from ninth place back were in the 39s or slower. In contrast, at the ASBK finale a fortnight earlier the top 20 were all lapping 37s or better, with the top ten all in the 34s or better. 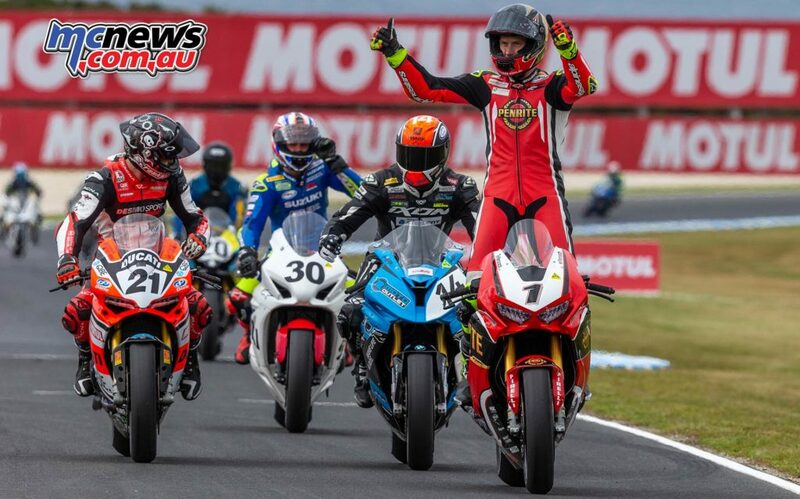 It was a great finish to the Superbike season for Troy Bayliss, made all that much sweeter when 15-year-old son Oli took out overall honours in the Supersport 300 category after some titanic battles with Seth Crump, Hunter Ford, Lachy Taylor and Dylan Whiteside. 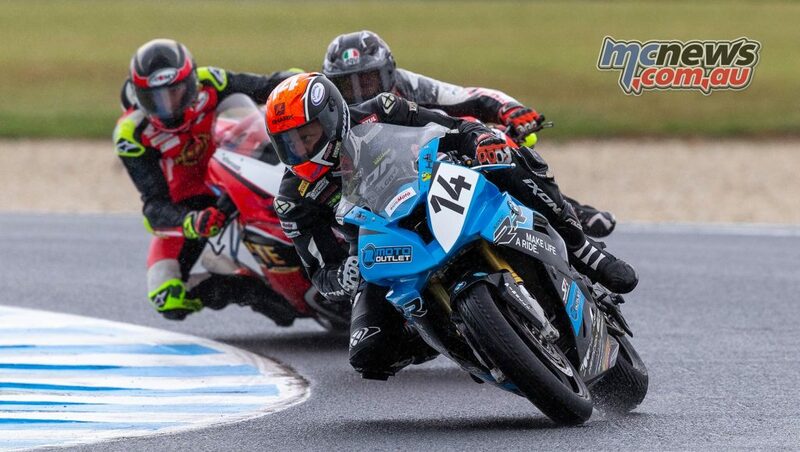 It was certainly somewhat surreal witnessing the sons of two of Australia’s most successful ever motorcycle racers going at it hammer and tong around Phillip Island. 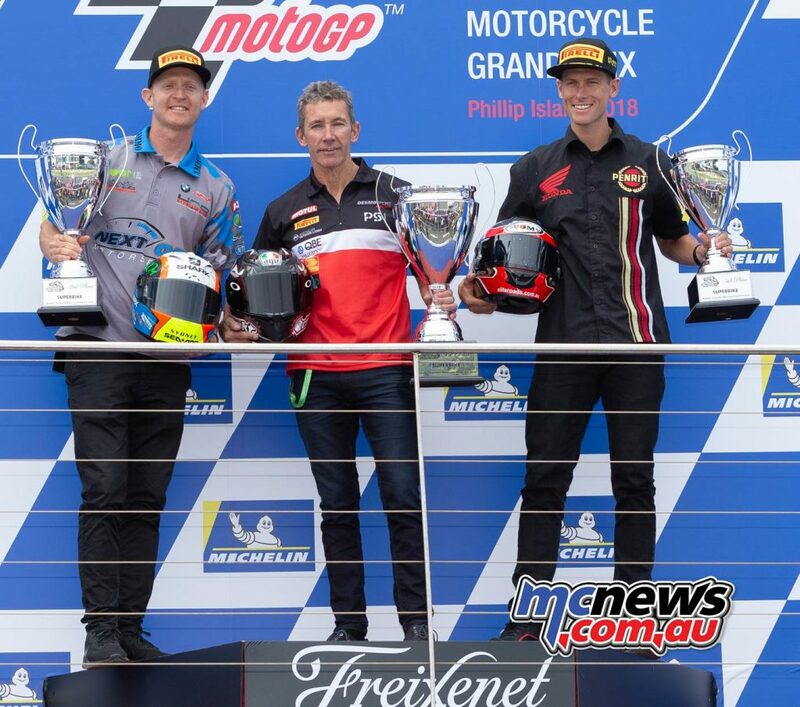 Troy Bayliss is of course a three-time World Superbike Champion, while Seth’s dad Jason Crump took three solo Speedway World Championships, along with a very long list of other Speedway honours both at home and abroad. 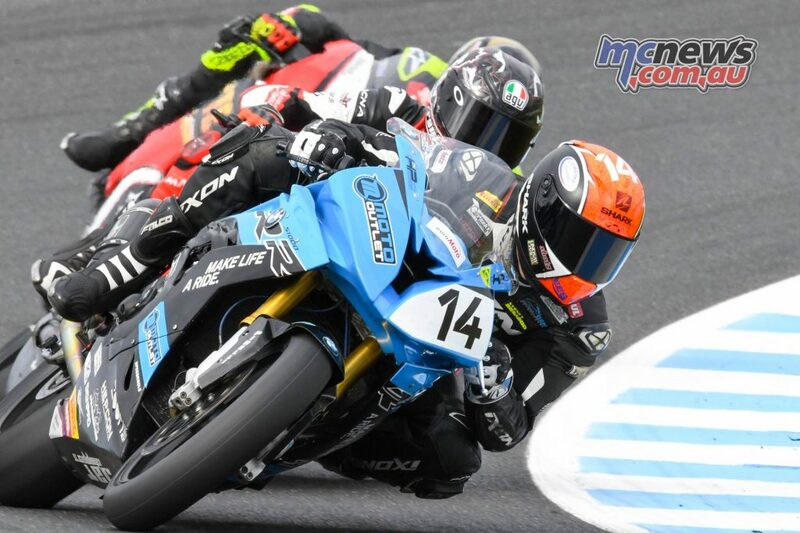 The sons of Aussie motorcycle royalty shared a win apiece at Phillip Island while Hunter Ford took second in both races.